Ok, So i have had this board for a little now so thought I should give a short review. Anyone who has seen my GPS Team challenge posts would know I rate this board very highly. 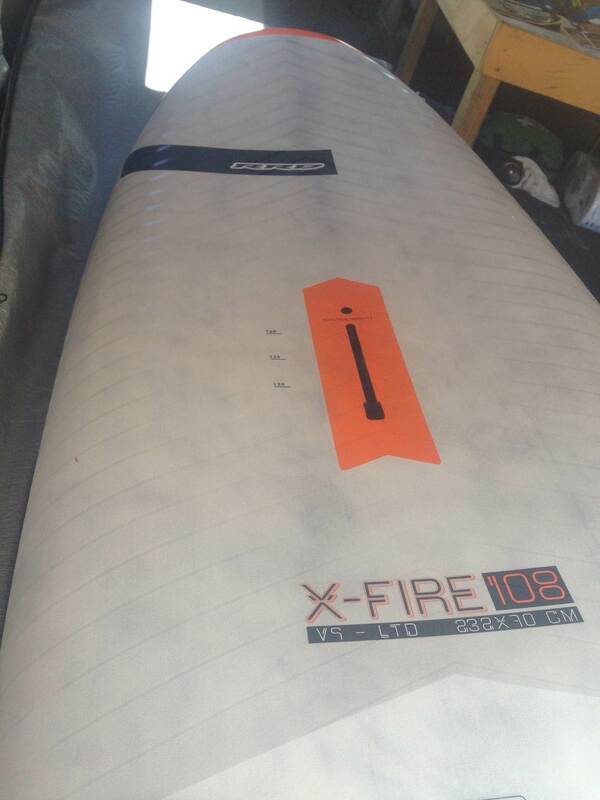 I went a size down in boards this year with the idea of this 108 to match up with my 7.0m. Given the season we have had so far I have been really happy with the choice. Am i happy with it, hell yes. It perfectly fills the role i wanted of a high wind open ocean board. I have the same board and it smokes! 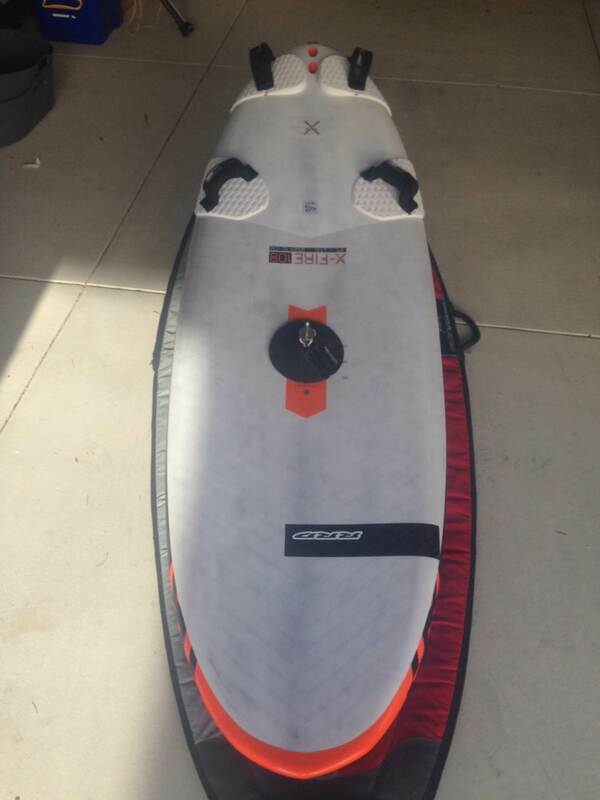 I'm looking at different boards and great to read your feedback on the RRD. What Sail range do you use on the 108? Does it take a 7.8? also what Fin range combo, who bring them in Oz? Yes easily will take a 7.8. 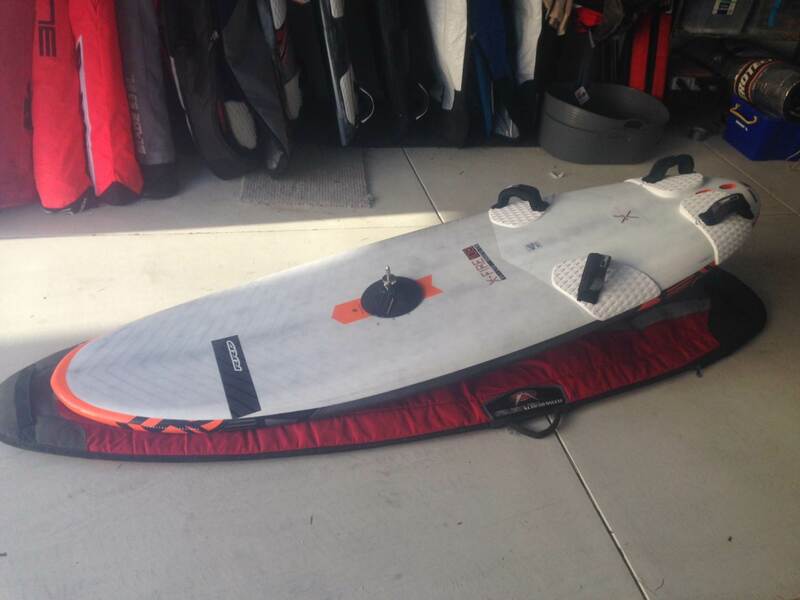 I have used an 8.6 on this board and it handles it ok. Sweet spot around 6.7 to 7.8. My only problem now is getting it back after I have lent to someone. Blair owns a Tabou Manta 2016 116litre - it's so light and with that 37.5 cm C2 Lockwood it's the best combo ever with a 7.0m or 7 8m. Best I've tried anyway. I now prefer volume around 115 over 107/ 108 sizes as they are so much better thru the lulls and not really any slower in the gusts. RRD would probably be my next board preference after Tabou. Peter D smokes on his RRD 114 and 7.8 NP. I reckon he's the fastest sailor on the river. Hey Darryl, what sails do you use and how much do you weigh ? Steve S did say to me a few weeks back in 20 plus knots that Darryl G was around 150 metres faster than himself and Rowan across the river! Might be on to something with that new board. I really like the look of the thick pads and fact that the back pads wraps around the rail so your heel doesn't get hammering it you are trying to work upwind. Like the Patricks Is the bottom glass or carbon construction? Still using Severne, This year i have R8,s 7.0 8.6 and 9.4. I'm 107 kg 185cm tall, dark hair, blue eyes, and star sign is Taurus. Gees, this sport is getting way too technical. I've only concentrated on matching in the fin and sail for my board choice. No wonder I'm so slow.